Behfar, M., Sarrafzadeh-Rezaei, F., Hobbenaghi, R., Delirezh, N., Dalir-Naghadeh, B. (2011). Adipose derived stromal vascular fraction improves early tendon healing: an experimental study in rabbits. Veterinary Research Forum, 2(4), 248-253. Mehdi Behfar; Farshid Sarrafzadeh-Rezaei; Rahim Hobbenaghi; Nowruz Delirezh; Bahram Dalir-Naghadeh. "Adipose derived stromal vascular fraction improves early tendon healing: an experimental study in rabbits". Veterinary Research Forum, 2, 4, 2011, 248-253. Behfar, M., Sarrafzadeh-Rezaei, F., Hobbenaghi, R., Delirezh, N., Dalir-Naghadeh, B. (2011). 'Adipose derived stromal vascular fraction improves early tendon healing: an experimental study in rabbits', Veterinary Research Forum, 2(4), pp. 248-253. Behfar, M., Sarrafzadeh-Rezaei, F., Hobbenaghi, R., Delirezh, N., Dalir-Naghadeh, B. Adipose derived stromal vascular fraction improves early tendon healing: an experimental study in rabbits. 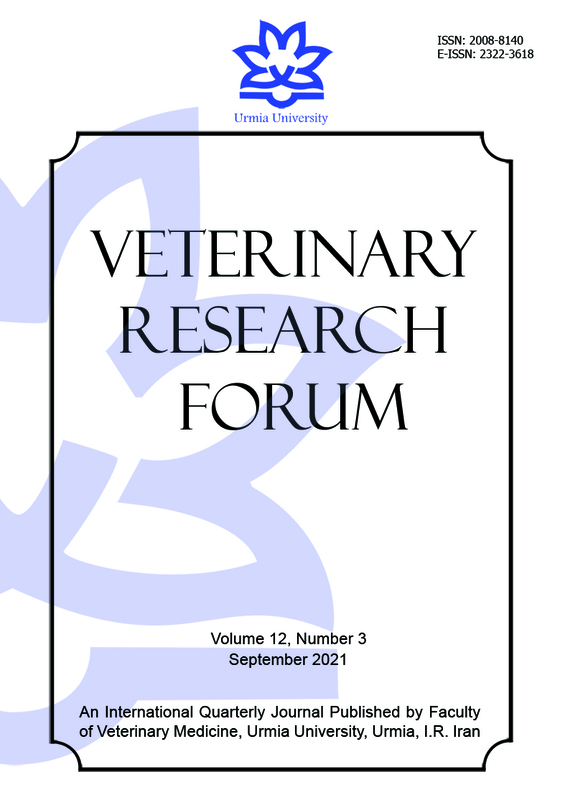 Veterinary Research Forum, 2011; 2(4): 248-253. Tendon never restores the complete biological and mechanical properties after healing. Bone marrow and recently adipose tissue have been used as the sources of mesenchymal stem cells, which have been proven to enhance tendon healing. Stromal vascular fraction (SVF), derived from adipose tissue by an enzymatic digestion, represents an alternative source of multipotent cells, which undergo differentiation into multiple lineages to be used in regenerative medicine. In the present study, we investigated potentials of this source on tendon healing. Twenty rabbits were divided into control and treatment groups. Five rabbits were used as donors of adipose tissue. The injury model was unilateral complete transection through the middle one third of deep digital flexor tendon. Immediately after suture repair, either fresh stromal vascular fraction from enzymatic digestion of adipose tissue or placebo was intratendinously injected into the suture site in treatments and controls, respectively. Cast immobilization was continued for two weeks after surgery. Animals were sacrificed at the third week and tendons underwent histological, immunohistochemical, and mechanical evaluations. By histology, improved fibrillar organization and remodeling of neotendon were observed in treatment group. Immunohistochemistry revealed an insignificant increase in collagen type III and I expression in treatments over controls. Mechanical testing showed significant increase in maximum load and energy absorption in SVF treated tendons. The present study showed that intratendinous injection of uncultured adipose derived stromal vascular fraction improved structural and mechanical properties of repaired tendon and it could be an effective modality for treating tendon laceration.